A virtual credit card number is not physical or made out of plastic. It is instead a randomly generated series of 16 digits and a CVV code that can be used to make purchases online or over the telephone. Businesses and consumers may get virtual card numbers from different companies and banks that offer virtual card services. With the numbers, you can make secure purchases. The numbers are associated with your existing credit card, but the numbers can’t be used to access your accounts if they are stolen. Since 75 percent of businesses report that they have been the victims of payment fraud, virtual credit cards are an attractive option to mitigate fraud risk. How does a virtual credit card number work? Virtual credit card numbers can be used in multiple ways. Businesses can create numbers and give them to their accounts payable staff to pay invoices. They can also generate virtual credit card numbers to pay for specific purchases. Some companies generate virtual credit card numbers to assign to suppliers with which they regularly complete a high number of transactions for low-dollar amounts. 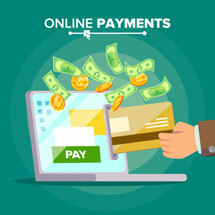 The suppliers can simply charge the orders to the virtual credit card numbers, eliminating the need for invoice processing for every transaction. Can virtual credit card numbers be used more than once? In most cases, virtual credit card numbers are set to only be used one time. This is a fraud-prevention feature. When a virtual card is generated, businesses normally use them to pay for a purchase. As soon as the transaction is completed, the number expires. This makes it very unlikely for thieves to be able to get the virtual credit card information. Even if a hacker is successful in retrieving the information online, the virtual card number will likely have already expired and so will be useless. What is the difference between a virtual credit card number and a regular credit card number? A virtual card number differs from a regular card number. A virtual card number is not directly linked to the credit card. Instead, it is a representation of the card from which it is originated so that the business’s purchase can be routed through to the underlying card. A credit card number is directly linked to the credit card. If it is stolen, a thief can run up charges on the credit card up to the credit limit. This can potentially result in substantial fraud losses. Using virtual credit cards or virtual debit cards can help companies to mitigate the risk of fraud. The numbers are artificial and do not provide direct access to your credit accounts or your bank accounts. Since they are used once in most cases, there is a minimal risk of thieves stealing and using them before they expire. 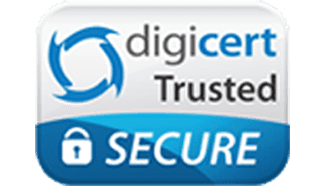 Businesses are also able to restrict the use of their virtual credit or virtual debit card numbers to be used only to make a specific purchase from a specific vendor. This makes it even more unlikely that a thief will find the number useful even if it is intercepted. It won’t work to make purchases anywhere other than from the chosen vendor. Temporary virtual numbers only last for a single use in most cases. As previously explained, this makes them highly secure. Some companies choose to use virtual cards that are set to expire after a few purchases. Since the businesses can restrict the spending limits and the merchants where the cards can be used, they are still secure. Temporary card numbers are good choices when you are making purchases online. They are also good choices when you are making a purchase from a vendor with which you are unfamiliar. If a vendor attempts to make a fraudulent charge on a temporary number after your initial purchase, the attempt will be denied since the number will have expired. Virtual credit cards are not physical cards and are not made from plastic. They are simply 16-digit artificial credit card numbers that allow you to make purchases without using your real credit card. The fact that the cards are not plastic makes them more secure. Since they are just numbers, they can’t be lost by accident. Lost plastic credit cards may be used by thieves to steal money from you. Many businesses continue to write checks and to use cash despite the risks of fraud that are associated with each. If your company uses petty cash and commercial checks, some employees may be tempted to steal money or to write checks to themselves. Virtual cards allow you to get rid of these outdated processes. Instead of using petty cash to make small purchases, your employees can use a virtual debit card that you generate. 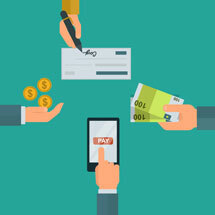 You can make payments with virtual cards that you generate, obviating the need to write checks. Virtual payments make the spending at your company transparent and help to stop fraud. How do virtual credit card numbers differ from virtual debit card numbers? Virtual credit and virtual debit numbers differ from each other. A virtual credit number is associated with a business credit card. When it is used, the purchase cost is routed to your revolving credit line and will incur interest if it is not repaid by the month’s end. A virtual debit card number is associated with your deposit account. When it is use, the purchase is routed to your deposit account, and the cost is subtracted from your balance. The purchase will not add to your debt or result in interest charges. In addition to helping to prevent fraud, virtual card numbers can offer several other benefits. Businesses can use them to streamline their payment processes and track expenses more easily. 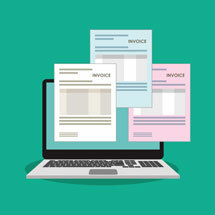 Accounts payable processes such as invoice processing and data entry can be automated. The card data can be uploaded electronically into your accounting program, eliminating data entry mistakes and preventing bookkeeping fraud. Virtual cards allow you to restrict where and when they can be used as well as how much can be spent on them. You can restrict a card to only being used to pay for a single purchase from a specific vendor. It will then expire. If an employee tries to use the number to order something else online for himself or herself, it won’t work. This feature helps to prevent internal card fraud at your company. You can also see what happens with each card that you issue from your dashboard or through your API. If you see fraudulent attempts with your cards, you can address the problem immediately as you see fit. Virtual card numbers can help to streamline and automate your accounting practices. The cards can be integrated with your accounting software through the API. This allows the information to automatically load into the software in the correct transaction category when the purchases are made. 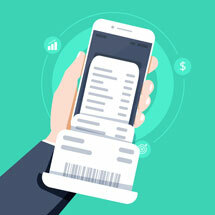 As soon as an employee’s makes a purchases it is logged no longer do employees need to photograph receipts so that they can be uploaded together with the card information. This helps to end the common issue of trying to track down receipts that may have been lost or misplaced. Invoices can also be automated, and expenses can be tracked by the employee or the department effortlessly. Employee reimbursements pose problems for both the employees and their employers. Employees who are asked to use their own money to make purchases may be forced to wait for weeks before they are repaid. Businesses that use reimbursement systems are often the victims of employee fraud. Employees may pad their expense reports or claim personal expenses as business expenses to get more money than they are owed. Using virtual cards can eliminate the need for reimbursements. The employees can be given card numbers to use for needed purchases and will not be asked to use their own money. They also won’t have to wait to be paid back for work purchases, which can build resentment. How can I get a virtual credit card? You can get a virtual credit card from a bank or card issuing company. However, a debit card that is virtual is a better alternative. Virtual debit cards may have better expense control features and allow your employees to spend your money without exposing your business to fraud. Credit cards can result in high rates of interest if the balances are not paid in full. They also require credit checks, which can impact your credit. 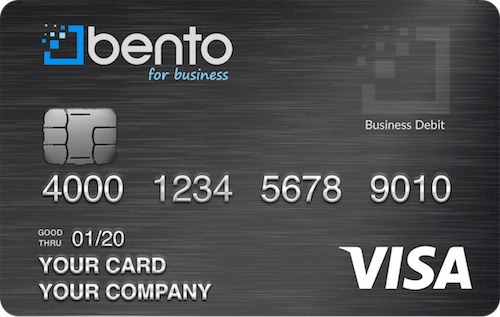 The Bento for Business Visa debit cards offer the expense controls and expense management features that can benefit most businesses. 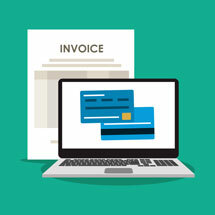 With the cards, you can automate many accounts payable functions. You can also restrict when your employees can use their cards, where they can be used, and how much can be spent on them. Bento offers a free 60-day trial, and it only costs $29 per month for 10 cards. You will not have to undergo a credit check. The cards are not credit cards, and you will not be charged interest or high annual fees. If you would like to learn more about the cards from Bento, call 866.220.8455.